Captain Moulton graduated from the University of Oklahoma in 1970 with a Bachelor of Science Degree and was commissioned an Ensign through the NROTC Program. He entered flight training in Pensacola, Florida and was designated a Naval Aviator in May 1971. Captain Moulton began his Naval Aviation service with the HC 4 LAMPS Detachment in Lakehurst, New Jersey and was a member of the initial cadre to stand up HSL 30 and HSL 32 at NAS Norfolk, Virginia. Following a tour as a flight instructor with HT 8 in Pensacola, Florida, he transferred to HSL 33 in San Diego, California where he served as Officer-in-Charge of LAMPS detachments in the Pacific and the Indian Oceans. He left active service in 1980 and affiliated with HS 128 as a Selected Reservist at NAS Alameda, California. 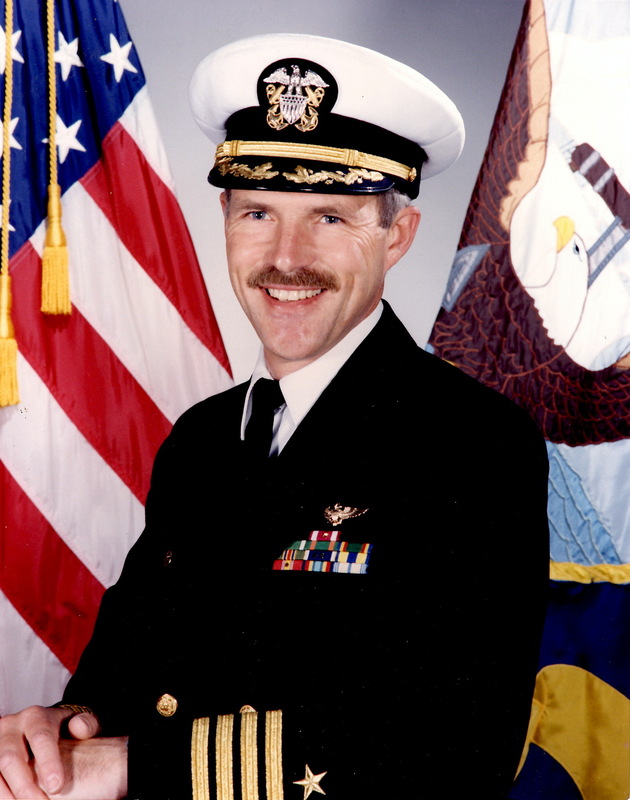 In 1982, he was recalled into Naval Reserve Full Time Support (FTS) Program and was assigned to HS 85 at NAS Alameda. In September he reported to HS 84 at NAS North Island, California as Officer-in-Charge and led the squadron’s transition from the SH-3D to the SH-2F aircraft and LAMPS mission. Following this tour, Captain Moulton transferred to Commander, Helicopter Wing Reserve as Atlantic Representative at NAS Norfolk, Virginia and later served as Chief Staff Officer at NAS North Island, California. In 1987, he transferred to HSL 84 as the Executive Officer and assumed command in 1988. Following command, Captain Moulton completed studies at the National War College in Washington D.C. and subsequently reported to OPNAV as the Naval Air Reserve Helicopter, Space and Intelligence Units Branch Head. He assumed command of Helicopter Wing Reserve in 1993. From August 1995 to August 1998 he was assigned to CINCLANTFLT as the Reserve Liaison Officer. His last assignment was Reserve Liaison Officer and FRS Readiness Officer for COMNAVAIRLANT. During his career, Captain Moulton has been awarded the Legion of Merit with two Gold Stars, Meritorious Service Medal with Gold Star, Navy Commendation Medal, Navy Achievement Medal, Armed Forces Reserve Medal, and various unit and campaign awards. Captain Moulton is married to the former Cheryl McDonald of Northridge, California. They reside in Peachtree City, GA.